Fresh and Bespoke Packaging Design can make a big impact to increase awareness and sales in modern world. Modern packaging is the technology of enclosing or protecting products for distribution, storage, sale, and use. We love this range of custom retail packaging by Dove. 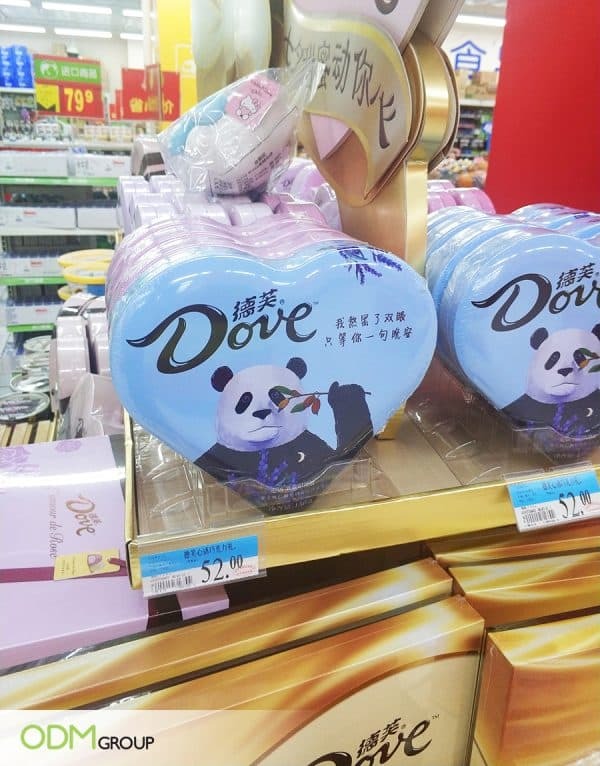 The chocolate products range from heart shaped boxes, to conventional rectangular chocolate boxes, some with panda designs on the front and others with cute lockets. 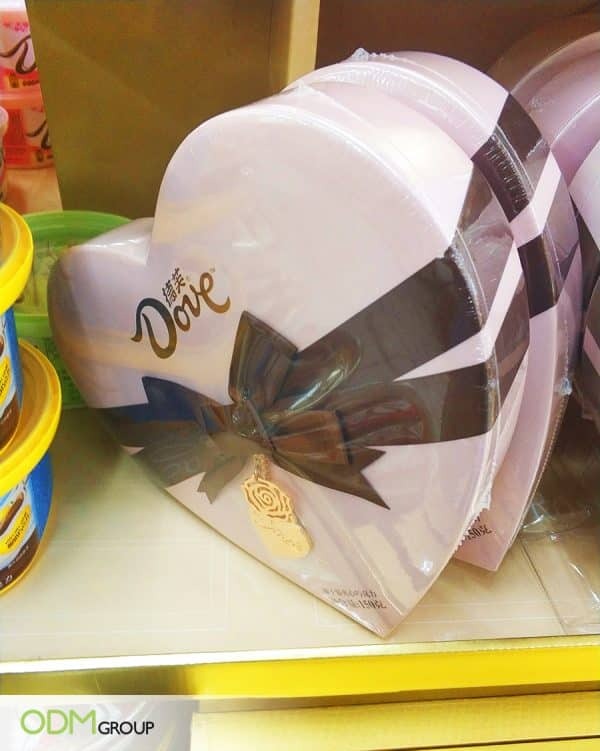 Consequently, Dove have produced a wide gift range, with products suitable for a full range of customers rather than just targeting a select few. This is a great method to expand the customer potential and boost sales. We love the bow and charm on this particular chocolate box. It makes for the perfect romantic gift and adds something special to the product. Whilst this is an extremely low cost add-on, it can incredibly increase the product appeal. Check out this cute panda design. This is a clever marketing strategy that specifically targets the Chinese audience. It uses the national animal as a means to push its branding. This would also make for a fantastic tourist gift to bring back from China. Its cute design, in a reusable tin, will make for endless smiles. If you are interested in knowing how tins are manufactured in China, this is certainly the blog for you. Upholds Brand Reputation: A bespoke packaging design adds a beautiful visual element to your presentation, which can help stimulate sales. And you can customize your design to reflect your brand image. Dove have certainly done this. The idea that confectionery goods are a luxury has developed a similar brand packaging design. Creative: This food packaging is an excellent example of creative food packaging. Rather than the conventional way of marketing, through such brand packaging design and promotional offers, the brand gets the advertising done in a fun manner. Custom packaging is an effective way of promotion as it can have a strong impact on the minds of the consumer, thus enhancing brand recall. Versatile: The chocolate industry is incredibly competitive. Therefore it is all about making yourself stand out. These customized chocolate tins certainly do this through their bespoke packaging design. Consequently this will put you one-up on your competitor brands and add to your company versatility. 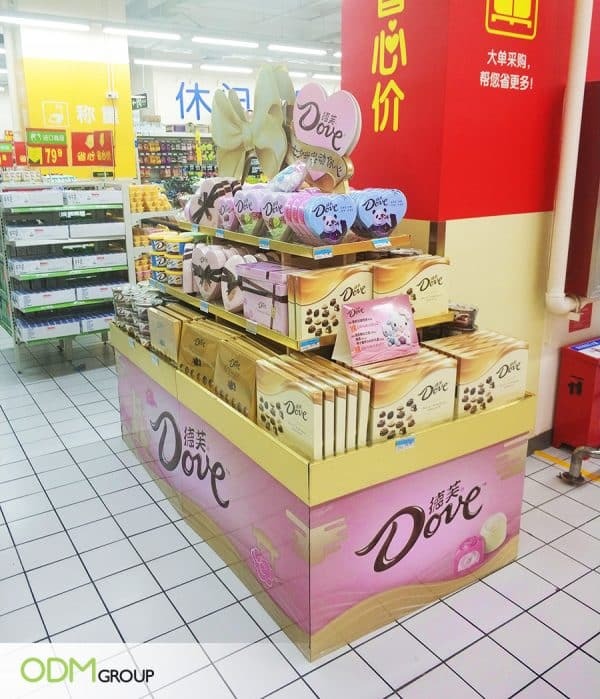 Dove have chosen to market their products with this beautiful free standing display unit. This display design matches their product, so that there is a beautiful visual portrayal of their products. 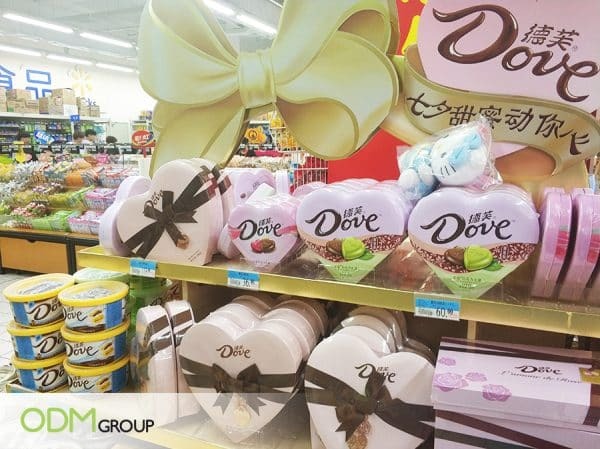 This is not the first time we have seen Dove market their product with a custom made POS Display. Could your company benefit from Bespoke Packaging Design? When you need to get a lot of attention for little money, make eye-catching, attractive, modern beautiful packaging design of your product. Should you need assistance with creating your own packaging, please don’t hesitate to speak with us! Whether you need design or manufacturing services, our team can help you out. If you need more examples and ideas, please feel free to browse through our blogs.